creating a state of mind of open and collective innovation. INCREASE ACCESS to digital fabrication tools to open opportunities from coast to coast to coast. Doing so by building Fab Lab and MakerSpaces and by advocating for a national policy. via a network of laboratories (Fab Labs) and Maker Spaces. INCREASE ACCESS TO ACTIVE EDUCATION: to provide alternative, active-engagement, learning opportunities. PROMOTE the « Fab City » program that is bringing a host of global city governments into a shared commitment to produce 80% of what they consume by 2054. INCREASE RESEARCH so that digital fabrication’s impact on economic, social, environmental, and legal realities be evaluated; in a context that will only expand. The First Fab Labs opened in Boston in 2003. 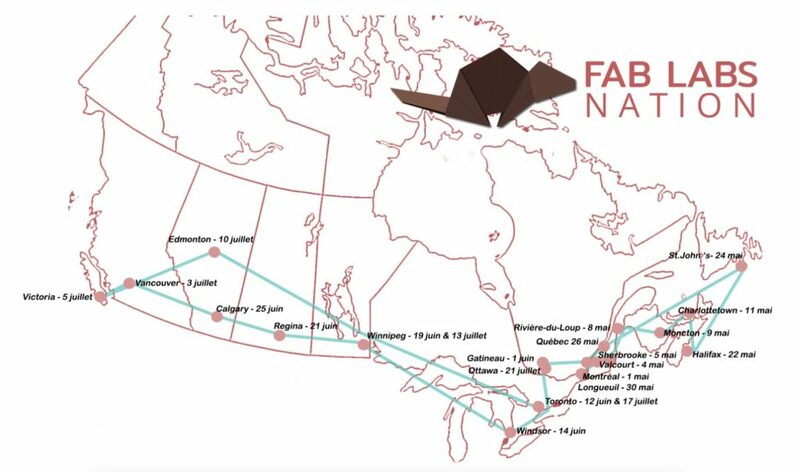 Today, there are 1600 Fab Labs around the world and the first one to open in Canada was in Montreal, under the leadership of Monique Chartrand. 2013: First canadian delegation to attend the annual FabLab International Conference 2015: Marguerite-Bourgeoy’s , the first School Board (Commission scolaire), deciding to integrate FabLabs all over its schools. 2017: Quebec Government creates a program to finance the implementation of labs within the province’s cultural spaces. AgoraLabs is involved in the Fab Labs network, and collaborate with other fabrication platforms (MakerSpaces, HackerSpaces and similar creative manufacturing organizations). Having initially aligned ourselves with Fab Labs, AgoraLabs is entirely open and welcoming to other similar spaces. To lighten the content, we use the word Fab Lab in an inclusive way. Ce site est unilingue anglais parce que la langue commune des FabLabs est l’anglais.